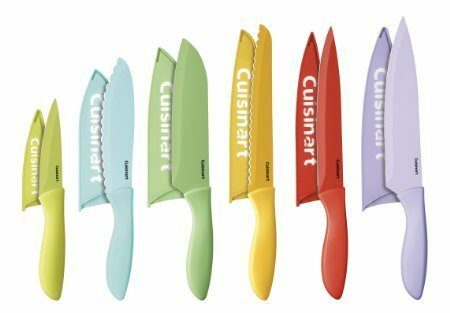 Cuisinart 12 Piece Ceramic Knife Set With Blade Guards Just $29.49! Down From $65.00! You are here: Home / Great Deals / Amazon Deals / Cuisinart 12 Piece Ceramic Knife Set With Blade Guards Just $29.49! Down From $65.00! Check out this great Christmas gift idea on Amazon! Cuisinart 12 Piece Ceramic Knife Set with Blade Guards for just $29.49 down from $65.00! Hurry before this great deal is gone!